Think about your own creative work. Maybe you aren’t that talented (let’s be honest here) and don’t really know what to do to be creative, but you are carving out a living as a graphic artist. Are you constantly copying other people’s work and style because you lack the confidence or skill to develop your own? Maybe you are talented, but you haven’t found your distinctive style yet. Don’t think you are alone, but I want to explain what a Creative Voice is and how to develop it. Stay with me, this is about making you better. Over the years I’ve taught drawing workshops to people interested in learning to draw and the hardest thing anyone can do is to start. That’s right, start. That white sheet of paper is scary. It is intimidating. That white template in Illustrator or Photoshop is just as scary too. Not because of their lack of desire to create, but because in the back of their mind their inner voice says “Nobody will like it” or “You are not good enough” or “You can’t do that, someone will laugh” or “You are going to get fired.” Do you listen to that voice? A lot of people do. Nobody thinks they are good enough, so they never even attempt it. Or they fake it by constantly copying somebody else’s work or style. Maybe you just need to retrain your thinking. Instead of cringing at the thought of starting a design task with the idea that you aren’t good enough, push that aside and refocus it into just being playful. Think like a five year old. Just go. Whatever comes out is what you do. When you stop worrying about what other people will think about it, you will focus instead on pleasing yourself. You’ll make yourself happy. Isn’t that always the most basic of human truths? Happiness? Will you make a creative mistake? Most certainly. What you start won’t come out like you intended. Every time. This is where you learn. Revel in your mistakes. Participate in the journey. Any small choice we make that does or doesn’t work out is where the real magic happens. You just have to get out of your own way and be willing to make mistakes. Do this often enough and you will start to develop your own personal creative vocabulary and style. You will start doing one thing over another. Your personal creative vocabulary will grow and blossom. This is the creative muscle that you develop. How far you push this and how you develop yourself are up to you. It’s going to require effort. And guess what? You can’t listen to any other voices. So, currently is your work unrecognizable in the chaos? Want to stand out a head and shoulders above everyone else? Below is a baker’s dozen of different creative minds that took risks, developed their style and are worldly recognized for their creative voices. Do they have detractors and people that don’t like their work? Certainly. Maybe you are one of them. However, instead of buckling down under criticism or scrutiny they kept plugging away. Every day. Maybe you can find some inspiration with this group. Be sure to click on the blue hyperlinks to view their bio or work. Also, just so you know all of these people are creative heroes for me personally and I’ve taking inspiration from them one way or another in my life. Want to add to this article? List your personal heroes in the comments section! Raymond Loewy – with a career spanning seven decades, he has been called the “Father of Industrial Design”. Sadly, few people even know who he is, but he was responsible for some of the biggest graphic and industrial design successes of the last century. He designed the Shell, Exxon, US Post Office and BP logos. He also famously designed Coca-Cola vending machines, appliances, buses, railroad engines and automobiles. His bold style still influences others and you can see remnants of his work all around you every single day. Pablo Picasso – as one of the greatest and most influential artists of the 20th century, he is known for co-founding the Cubist movement, the invention of constructed sculpture, the co-invention of collage, and for the wide variety of styles that he helped develop and explore. This iconoclastic artist created every day and pushed the conventions of “what is art”? Looking through his work you can see his mind churning and developing ideas to arrive at his personal creative truth. I always loved the fact that he was always working. Winslow Homer – a personal favorite. More so for the watercolors than his oil paintings, but for me his use of light, arrangement and a sense of impending drama in a good number of his pieces are what always stands out for me. Homer initially made his living as a commercial artist, painting and drawing scenes of the Civil War for Harper’s Weekly. Can you imagine the deadline of painting a picture from a battlefield? One of my favorite things to do in his work is to “find the diagonal” in his pieces as he loved to set up directional compositions to push the narrative of the image. For Homer, composition was everything and I admire his constant use of asymmetrical balance. 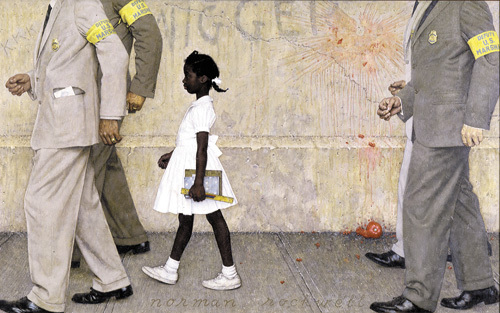 Normal Rockwell – another illustrator that outshined his original involvement with his commissions for the magazines, his work breathes still today. Commercially successful as an illustrator since he was sixteen, he famously produced work for Boy’s Life, The Saturday Evening Post, and Look magazines. Want to learn to put emotion and context in your work? Rockwell is the first place to start looking on how to achieve that goal. While there are plenty of successful commercial illustrators during his time, no other stands above his work and is so lovingly remembered or cherished. Style, grace, humanity, and above all humor were the emotional engines of his creative voice. Every painting tells a complete story. Frank Gehry – the famous deconstructionist architect who had the cajones to wrap his existing Dutch Colonial style 1920’s bungalow home in corrugated metal, plywood and chain link fencing, gets my nod for taking no prisoners when it comes to following your own creative voice. Imagine the local homeowner’s association meeting after that was installed. Gehry’s work famously explores use of material, form and pushes the boundaries of architectural language and conventions. Think about your creative work. Are you as brave and bold as Gehry? Milton Glaser – I don’t think anyone has come close to having the impact in graphic design as Milton Glaser. His “I Love NY” design is said to be the most widely copied graphic ever, and I believe it. Simplicity is hard. It’s easy to throw a lot of elements into an image, much harder to reduce everything down to the basic concepts and still convey your message. But how do you do that and still have a distinctive style that’s unique to you? Glaser nails it. In your own work, how are you in just using a few elements to set up your design? You can learn a lot from this guy. Buckminster Fuller – how do you describe genius? Fuller described himself as a “Comprehensive Anticipatory Design Scientist”. Most famous for his creation of the geodesic dome (think that big ball at Disney’s Epcot), he spent his life designing strategies to help mankind. His work just didn’t focus on architecture, but instead was in developing systematic approaches to conquering the world’s problems. What impact are you leaving behind you in your work? Andy Warhol – love him or hate him, you can’t deny the legacy that Warhol left on the design world. From his famous screen-prints of Marilyn Monroe to his legendary Rolling Stones Sticky Fingers album cover that was produced complete with a functional zipper on the pants. VH1 named it the number one greatest album cover of all time. Warhol’s was a master in dreaming up the concepts and letting his studio – The Factory, produce the work. Warhol’s real genius was creating the aura and marketing of his fame to push his work further than it possibly could stand on its own. He was the king at social selling, and success by association. He is a pop culture superhero. Jonathan Ive – you probably can successfully argue that Apple’s rise can’t be completely attributed to Steve Jobs, because without Ive’s design sensibility, taste and desire for perfect craftsmanship Apple wouldn’t be where they are today. I used those old beige clunky Macs a long time ago before he teamed up with Jobs. Still an Apple fan today. Want to know his design philosophy? Click here – it isn’t for the faint of heart or timid. Michelangelo Buonarrotti – my number one personal art hero and favorite. All that guy wanted to do was sculpt, but he kept taking commissions from the church to do paintings and architectural design. It’s not like you can turn down the Pope. His paintings all have a sculptural quality for me, and you can tell that he’s thinking of that while he’s painting. So are you doing one thing, but secretly burning to be doing something else? Do you still push yourself to excellence in both? Georgia O’Keefe – not being sexist, but she’s the only woman on my list; but a more powerful member I can’t think to add. 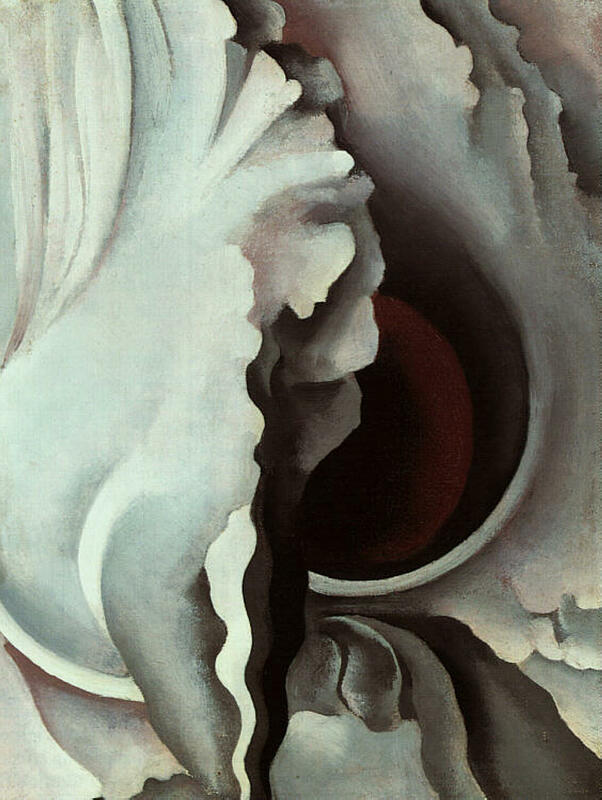 O’Keefe to me is all about precision, and her use of negative space is unparalleled in the art world. I love the tension and the drama that her work sets up so beautifully with how she creates shapes from flower petals or other natural elements and reduces them down to simplistic elegance. Another great source of inspiration is how she pushes an object to the edge of the canvas border, but always leaves a small space. The big to little, sharp to round, dark to light juxtaposition is truly inspirational in my own work. She is the epitome of exactness. How is yours? Salvador Dali – we all think of Dali as the master surrealist painter, but I have to be honest here…my favorite piece of work of his is the fact that he designed the logo for Chupa Chups lollipops. Well ok, you are right. His paintings are masterpieces too. During the introduction I wrote about being playful and pushing your ideas to wherever they may go. 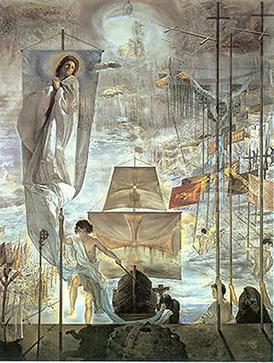 Dali is a great example of how letting your imagination free and coupling that with your creative voice, can set you up for greatness. 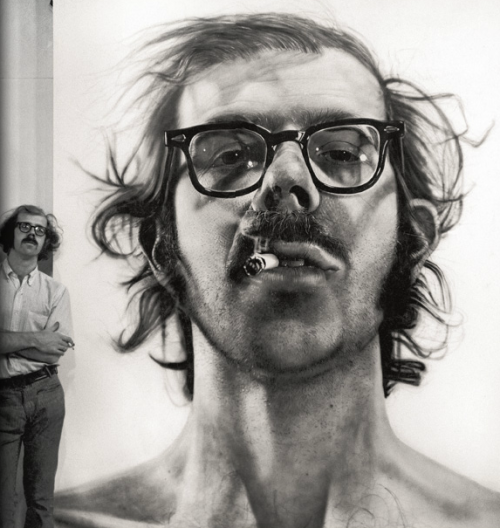 Chuck Close – unless you are an art geek like me, you may not be familiar with Close; but you should be. 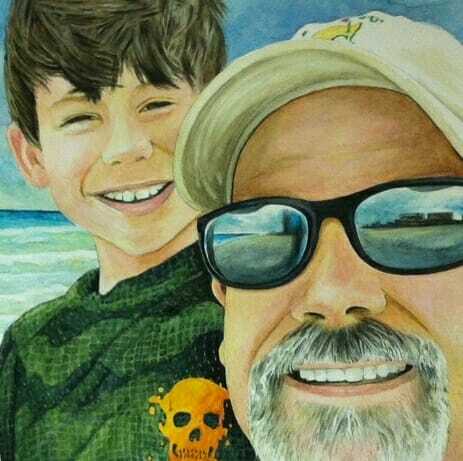 His gigantic portraits all push the limits of photo-realism, but are in fact made up of millions of fingerprints, felt stamp marks, chunks of paper or pencil and ink strokes. If you’ve ever viewed these in person, you can’t help but walk away at the genius. But what if he listened to someone who said that you needed a brush be able to create like a “real” painter? You can’t just use your thumb or some other device. Doing it your way; and then mastering your technique is the take-away here. What crazy idea do you have in the back of your mind that you are too timid to try? That’s a baker’s dozen of some of the top creative minds to ever design or create something. (If you don’t recognize all the names, that’s OK there won’t be a test) Why are these people so famous? Because they went against the grain, took a risk and moved their work using their own creative voice. Each has their own unique style, creative vocabulary and has made an impact on others to follow. You probably know of others. So, is your work unrecognizable in the chaos? Do you stand out a head and shoulder above everyone else? Are you working on your personal design aesthetic and vocabulary? Have you defined your voice yet? You deserve to make yourself happy. Just do what pleases you. The rest will follow.